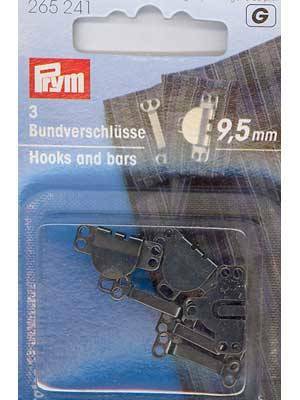 Sew-on hooks & bars for pants and skirts. For lapped waistbands. Washable and dry cleanable.